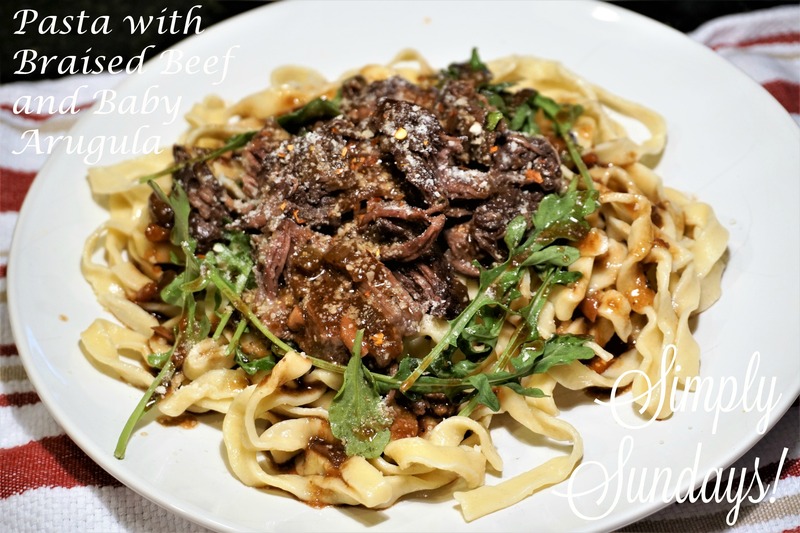 Pasta with Braised Beef and Baby Arugula – Simply Sundays! Not only is Disney a great place to vacation for it’s rides and shows, it’s also a great place to try fantastic restaurants! In fact we thought it was so good we just new we had to try and recreate it when we got home!